WANT TO UNDERSTAND GROUP INSURANCE BETTER? SAVE MONEY ON YOUR GROUP INSURANCE POLICY? 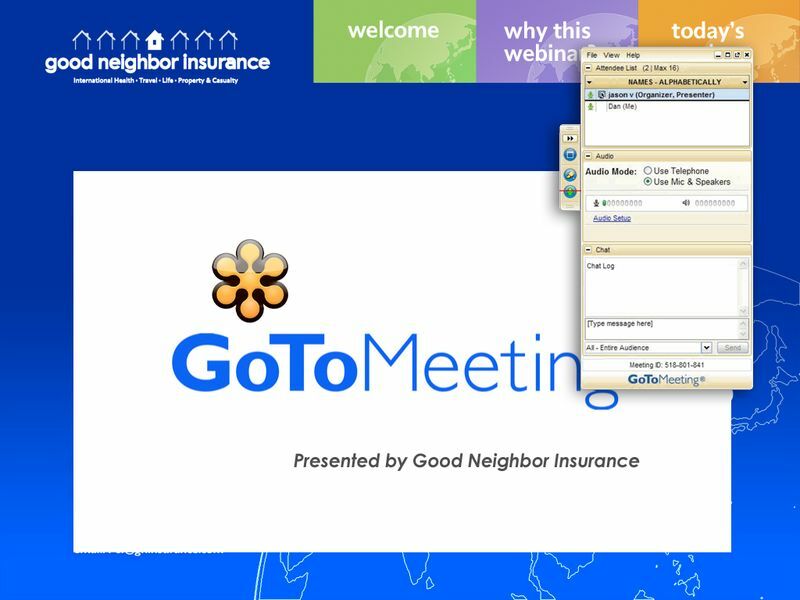 Good Neighbor Insurance now offers Go-To-Meeting training sessions at no charge. 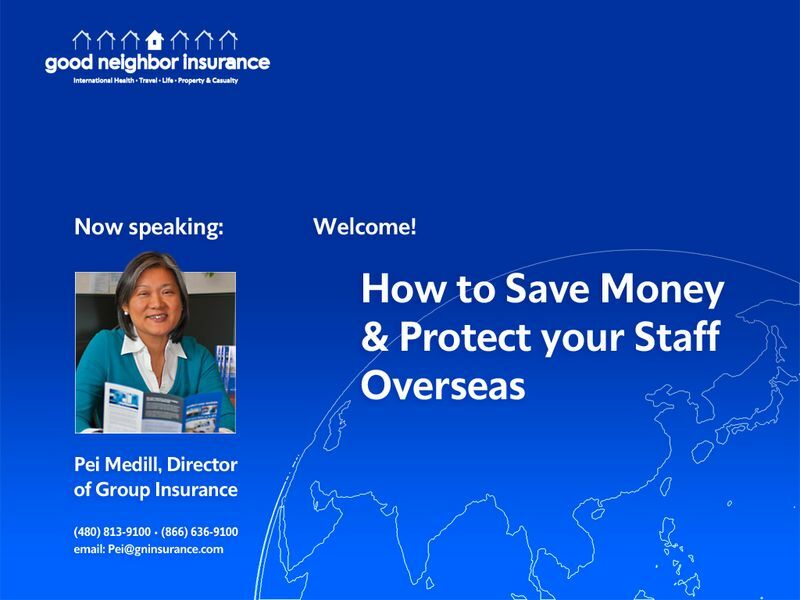 In case you missed it, The webinar “How to save time and money while protecting your overseas staff with group insurance” (recorded) is being offered here for your benefit. 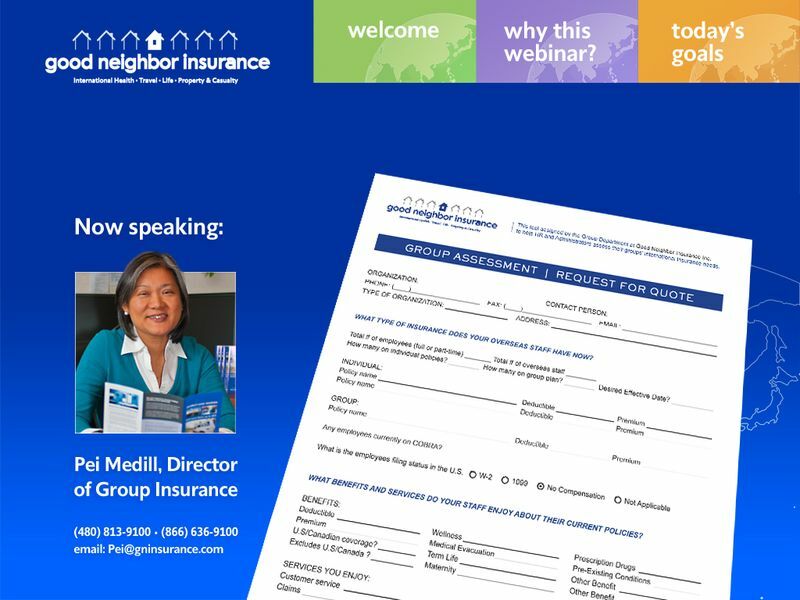 Basically a ‘101 Course’ on Group Insurance, it is an overview answering questions such as: How group insurance can save you money, the process, how to qualify, dealing with problems, specific tips on how to save on your current insurance, as well as why you should never go directly to a carrier for overseas health insurance. We are happy to notify you via email on any upcoming webinars so that you can decide if you’d like to attend. Please enter a valid email if it is requested above. If you are already in our system, you will not be added to our system again or receive duplicate communications from us. A confirmation email will be sent to you immediately upon submission Sometimes it is helpful to check your ‘spam’ filter or ‘junk mail’ if you do not see this “Thank You” email from us. Note: These particular webinars are for organizations and groups with overseas staff. While we hope to start having webinars helping individuals select the best overseas insurance, the information presented above is only applicable to groups. We are always ready to help you by phone toll-free at 866-636-9100.